Marlows collectors sale of the 24th May proved a great success with music to the ears of the vendor of two magnificent late Victorian music boxes, not only from the tunes played, but at the sound of the hammer falling, the first example a Mandarin automata striker example £3,000 and the second a Bird & Drum example sold for £2,600. The sale contained a selection of Southern Railway Station platform signs, the most popular was a sign for “Ramsgate”, which sold for £550. 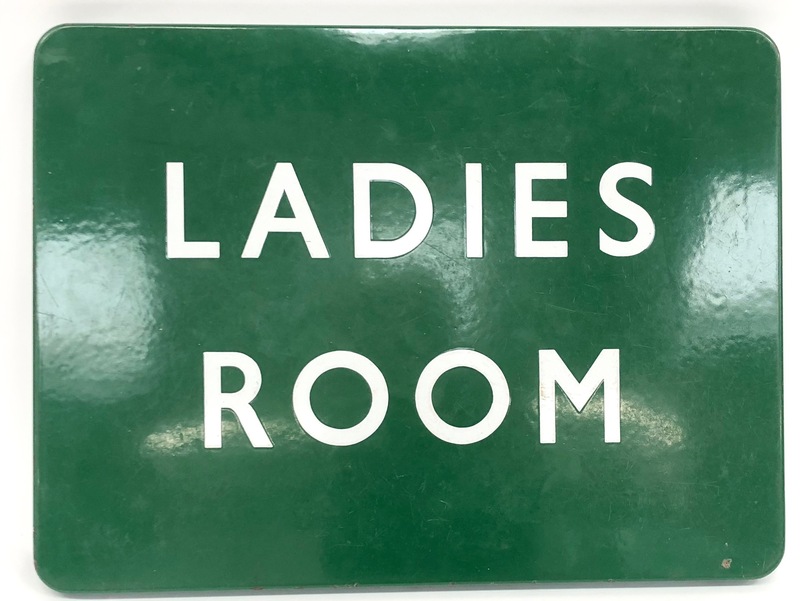 A similar example for Hollywood in Surrey sold for £300 and somebody was forced to spend more than a penny for a “Ladies Room” sign at £160. Victorian silver embossed card cases found bidders and new homes with an example by Nathaniel Mills embossed with both Windsor & Kenilworth Castles selling for £800 and a similar vinaigrette by the same silversmith selling for £750. 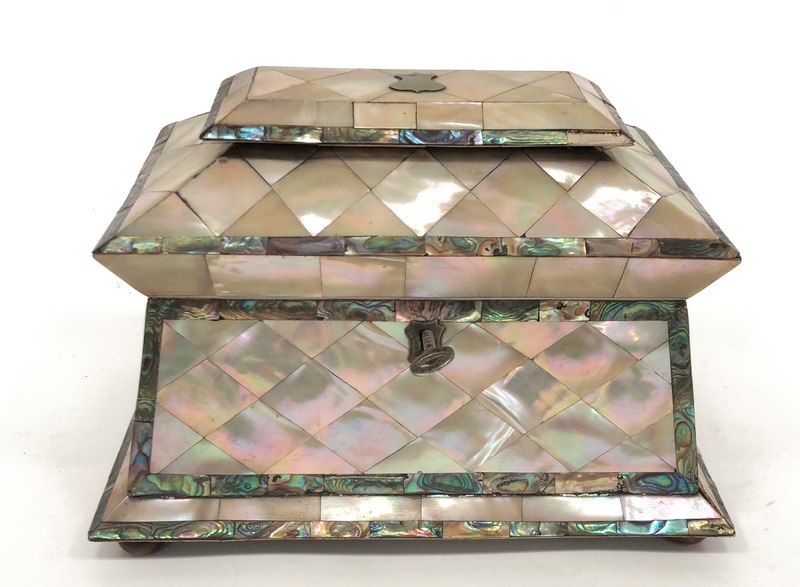 The sale included a good cross section of collectables including: Toys, Automobilia, Taxidermy and also a good selection of antique boxes and tea caddies, one example a very fine 19th Century mother of pearl & Abalone example selling for £380. 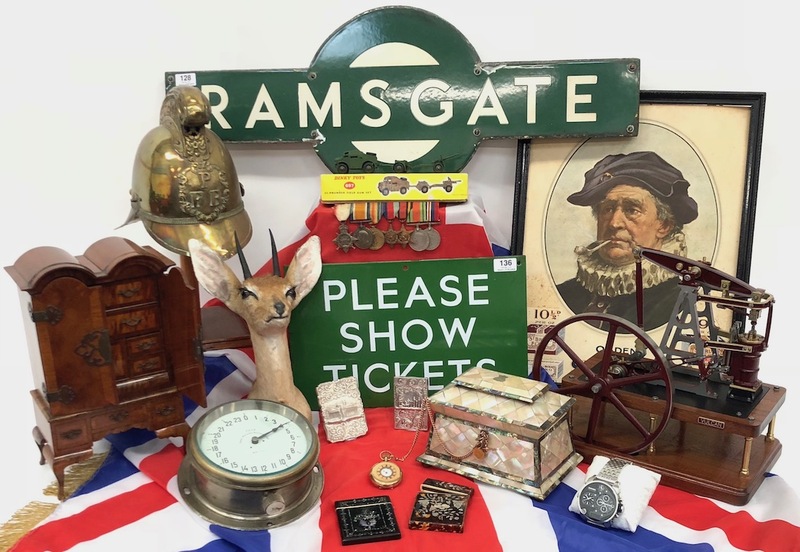 This sale was held following the requests of many of our vendors of Military Antiques & Collectables, often these vendors have formed more than one specialist collection and not knowing the best way to sell requested that we extend of specialist service to them. Now having an extensive team of experts on hand we are happy to be able to offer this professional service to our clients. Our next Collectors Sale will be held in conjunction with our annual Aviation Collectors Sale on the 13th September.